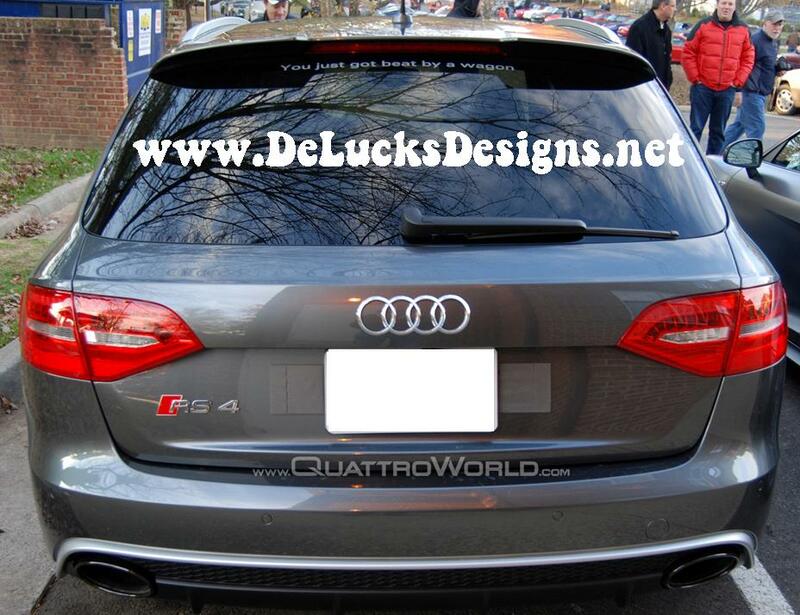 Whatever custom, inspirational, or fun vinyl decal you’re looking for DeLucksDesigns.net can deliver. Our vinyl decal company produces custom decals for most surfaces and purposes, including walls, cars, laptops, windows, lighters and many more. We specialize in Star Wars related decals, for you costumes and collectables. Also, choose from thousands of predesigned vinyl decal stickers including wall quotes, in loving memory car decals, and family kits. We have over a many decals to choose from, and if you don’t see what you want, you can request a custom decal order. Just let us know! We’d love to work with you to make the custom decal you desire. There’s a decal for all interests, with our sports, Star Wars, family, and music decals all at prices you can afford. Don’t see the image you’re looking for? Not only do we produce custom decal stickers for your favorites, we’ll also do custom work for businesses, auto registrations, boat lettering, dirt and sport bikes. Choose from various colors, fonts, and images to create your own custom decals. Size of the order doesn’t matter, we treat them all equally. Whether it’s a single custom order or mass quantities of decals, we make the product when you order it. Here at DeLucksDesigns.net, we are committed to our customers. Just give us a call and you’ll meet our friendly, courteous, and willing staff who is here to help you when you need it most! Unlike other stores where decals sit in storehouses, your DeLucksDesigns decals will be made just prior to shipping, ensuring optimal quality and life expectancy. We only use high quality vinyl, with more than 6 years manufacturer rated for outdoor life. Our high quality vinyl stickers can be used on just about any smooth, hard, or painted surface!